This elegant mackerel salad recipe is a perfect dish to serve up as a light main or starter in the summer months. The fish in this salad is paired with tomato and samphire, with a warm mayonnaise which uses reserved tomato stock. 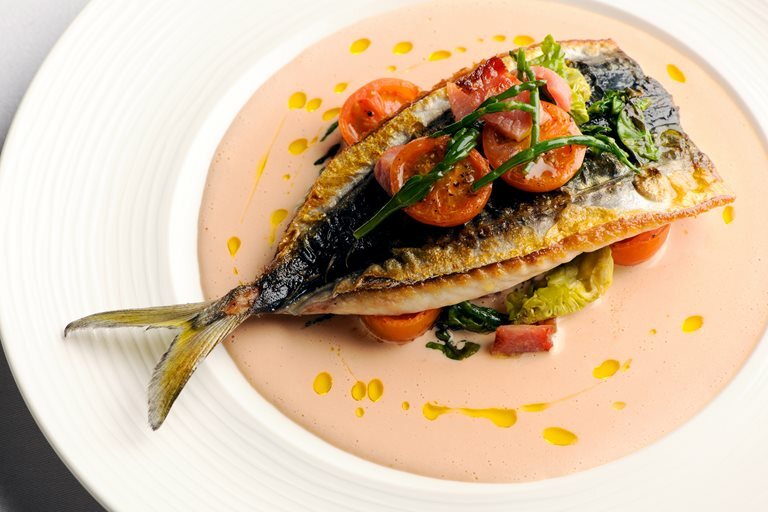 Nathan Outlaw is known for his wonderful fish and seafood dishes and this mackerel recipe is a fine example.